The farmers’ market last Sunday (Oct 9) was bustling with many new faces and lots of positive energy. We met a new set of enthusiastic sellers with their equally amazing products. With Diwali less than three weeks away, we wanted to make this post more relevant to you. Taking forward from our previous post on ‘Glimpses from the farmers’ market Oct 2′, we’ve attempted to compile this handy-list, on unique eco-friendly gifting options we saw at the farmers’ market. More importantly, the one’s on this list are all safe, healthy, non-toxic options for your family and friends. 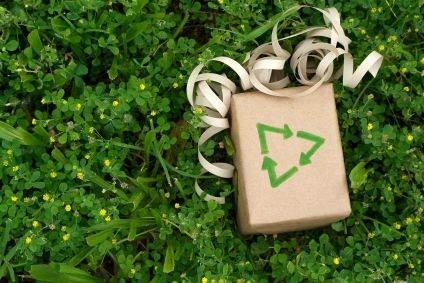 Here’s a list of some unique green gifting options that we bring forth in no particular order. 1. KEC Games and Toys: Colourful, vibrant, thoughtful, earth-friendly toys and art supplies from KEC Games and Toys. 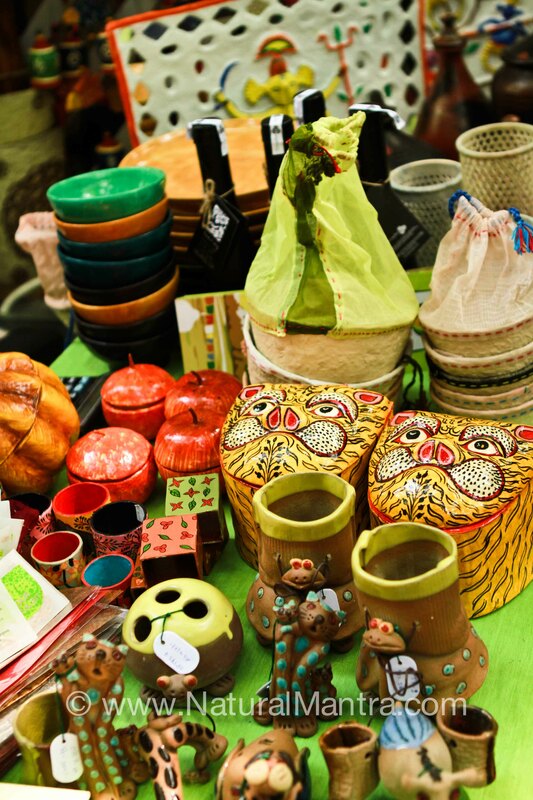 These products are made out of products derived from natural materials such a wood, paper, jute, rope, lac. 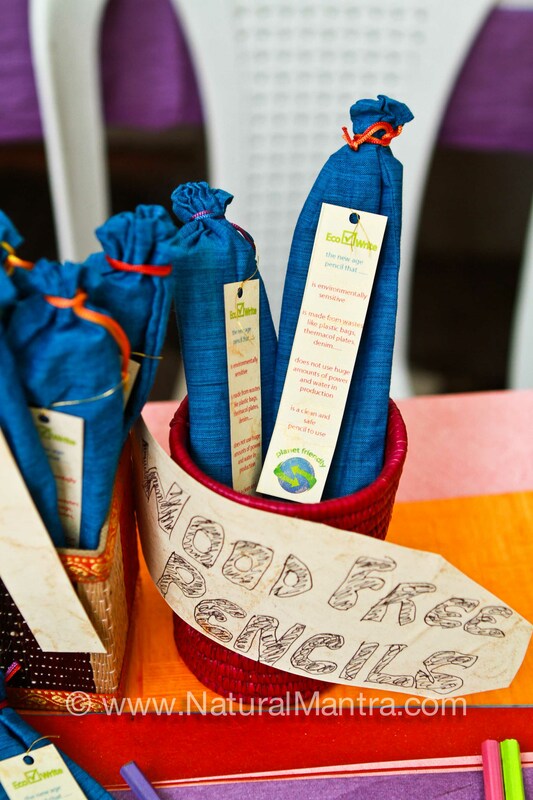 For example,the pencils are not made of wood but waste material like plastic and more. They have some interesting children’s toys that are non-toxic and hence safe for children. Being a mom of a four year old these work as magnets for me. What truly appealed to me is that they have some really neat traditional games which encourage experiential learning, encouraging creativity, strategic thinking and skill building. It’s a far better option as compared to television and video games. 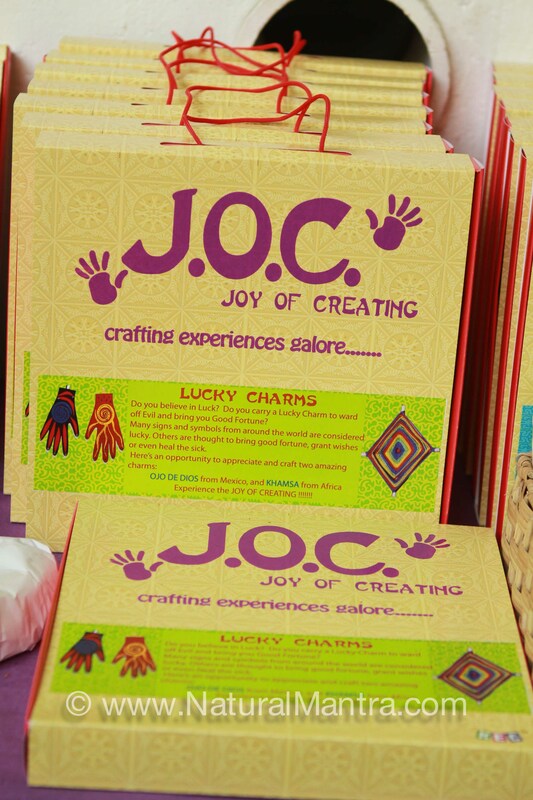 The added charm about buying these games is that these also support the work of rural artisans and craftsmen by giving them a sustained source of income. 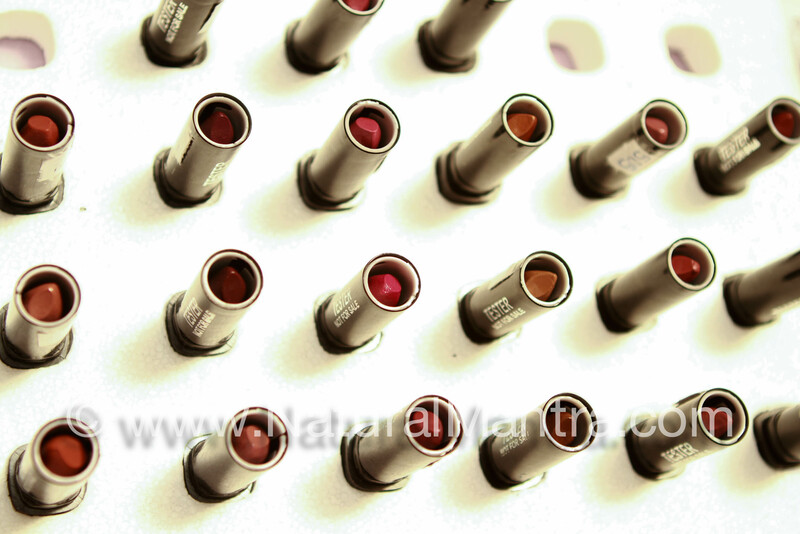 Young cosmetics range are 100% chemical-free products. Rest assured, these line of products are devoid of any chemicals such as sulphates(SLS), parabens, petroleum based ingredients or any synthetic preservatives, When I read the ingredients on the pack the Young Mango Butter Moisturizer mentioned certified organic ingredients such as clarified butter, kokum butter, honey, beeswax. Something interesting that stuck a chord was mango butter which has healing and regenerative properties. 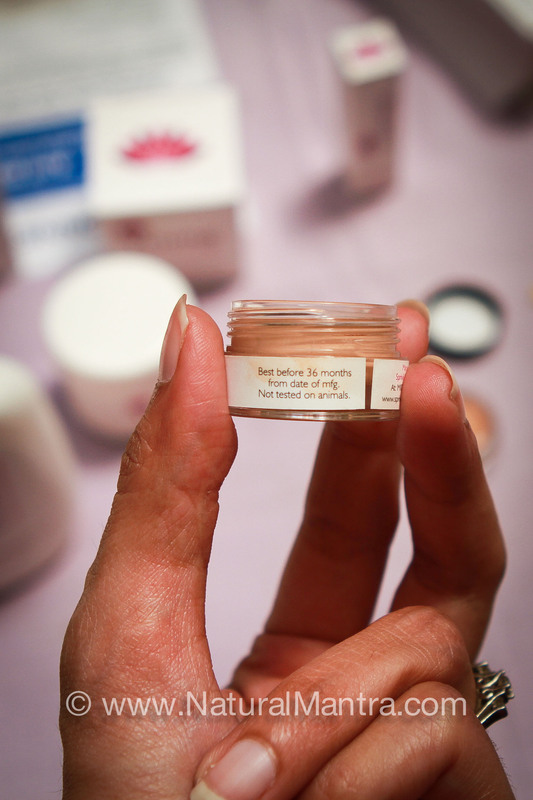 The icing on the cake, it also protects your skin from harmful sun damage. What I gather here is that I can simply wear this moisturizer on my skin along with a dash of natural lipstick and head out! 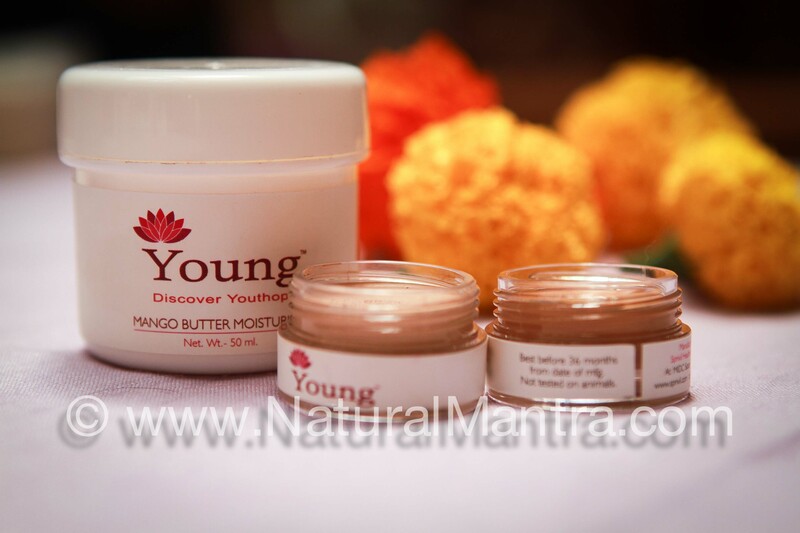 Young cosmetics range of products include lipsticks, lip balms, foundation, moisturizer and body lotion. This time consider a safe, chemical-free gifting option. OG Mama’s website says it well ‘What goes on, goes in’. What we apply on our skin, matters. 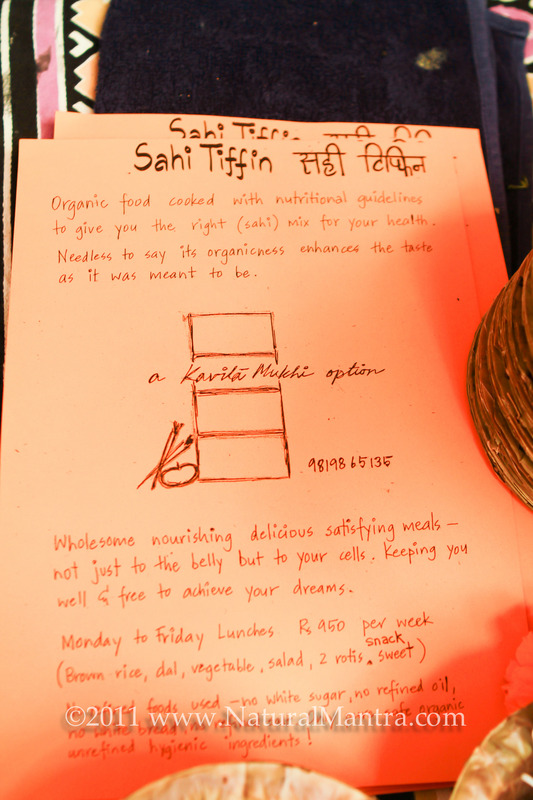 Samskara Wellness has a pretty neat basket of organic goodies to offer. 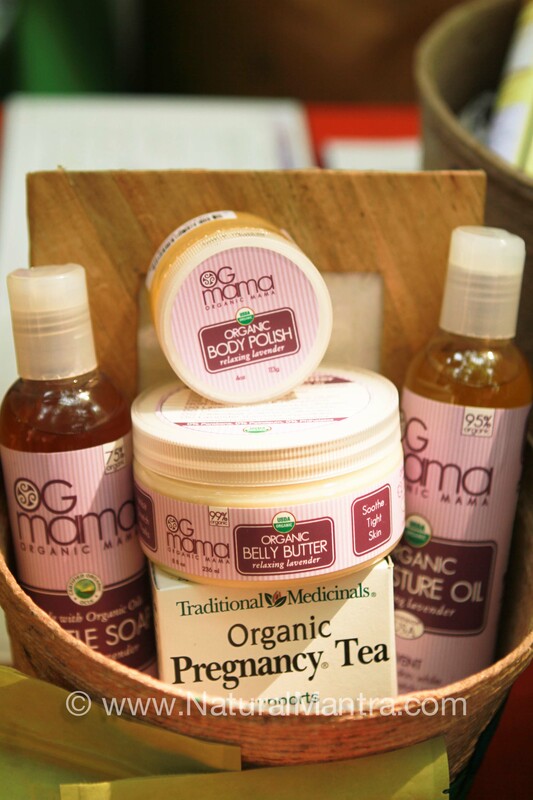 Because it’s certified organic it makes a great quality gift for moms-to-be . The pregnancy gift basket includes a large Organic Belly Butter (236ml), an Organic Lavender Gentle soap (236ml), a Organic Lavender Moisture Oil (236ml), an Organic Pregnancy Tea(from Traditional Medicinals), a Hyacinth picture frame all filled in a flower pot. I picked up the Organic Cran-Acid teas for my mom. We’ll come back with our review in a few weeks. Neat set of products worth a try. You will get addicted to these! 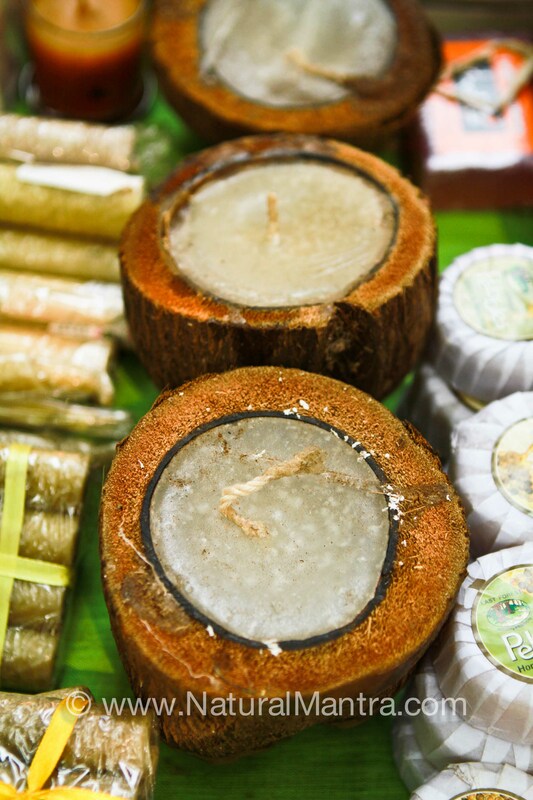 Bees wax filled in empty coconut shells. How cool is that? Our Lil Bit: You’ll get a drift of their unique products once you see their visiting cards. I sure haven’t seen something like this, ever since I left my high-profile, stressful advertising job. 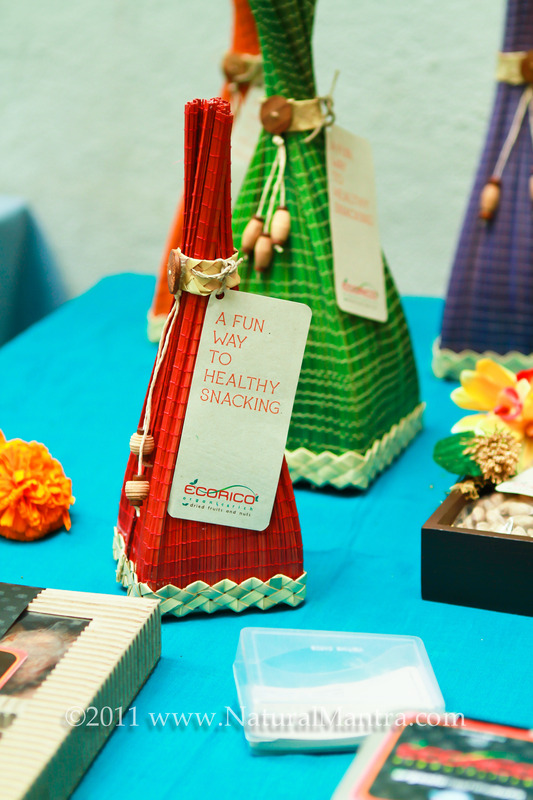 Beyond the ones we listed above from Day 2 at the Farmer’s Market, this list of eco-friendly gift options is incomplete without the brands we included in our previous blog post: ‘Glimpses from the Farmer’s Market in Mumbai – Oct 2nd’. Omved candles comes with a lid for long lasting fragrance. A highly recommended safe, healthy replacement to the traditional dry-fruits, Ecorico’s cashews, apricots and other nuts come in its most raw natural form without the treatment of any harmful chemical pesticides. 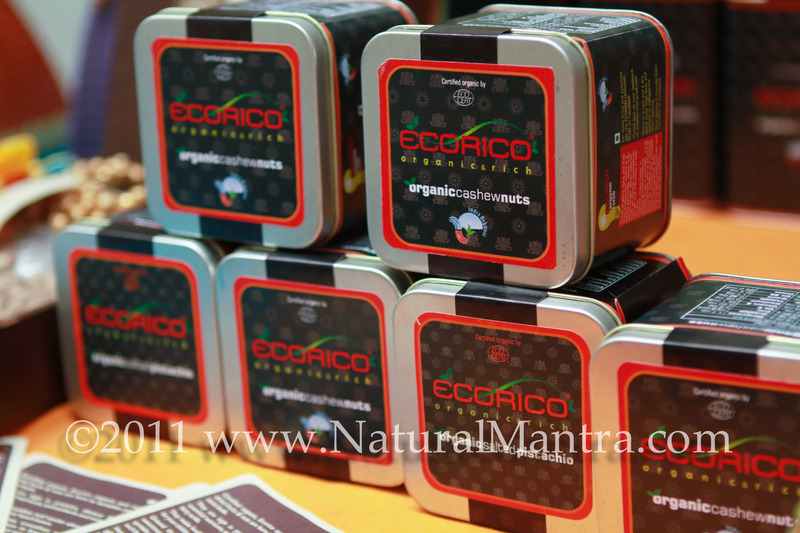 Because it comes untreated with any kind of chemicals, it has a naturally rich taste. The difference is that obvious. Try them to get addicted! T-shirts that lead a movement. Have a friend, husband, wife who needs nutritious organic food? Try Sahi Tiffin services at Rs. 950 per week. Call them at 9819865135 for more information. 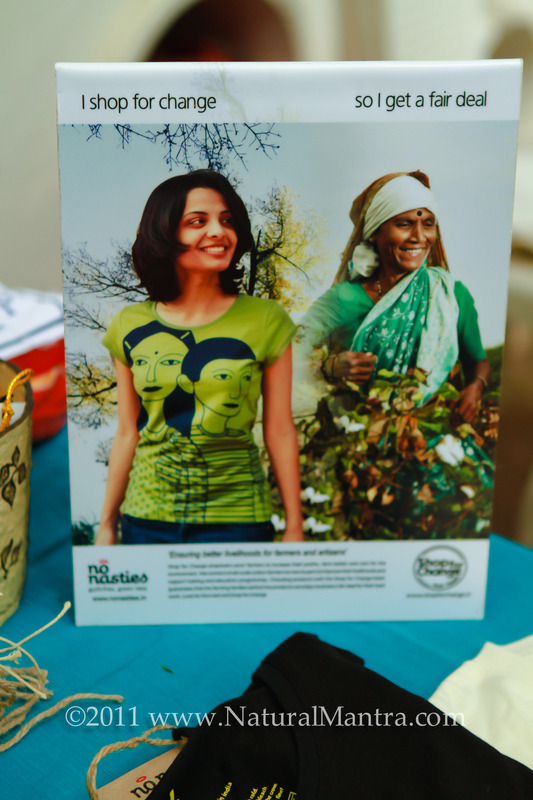 We certainly hope that you have a few extra meaningful gifting options to consider this Diwali. Make it a sustainable, eco-friendly, less polluting Diwali. We are fast working to get our online store up so that you can find products that are healthy, safe, non-toxic and sustainable at the click of a button. We’re working to making eco-friendly living easy, affordable and convenient. 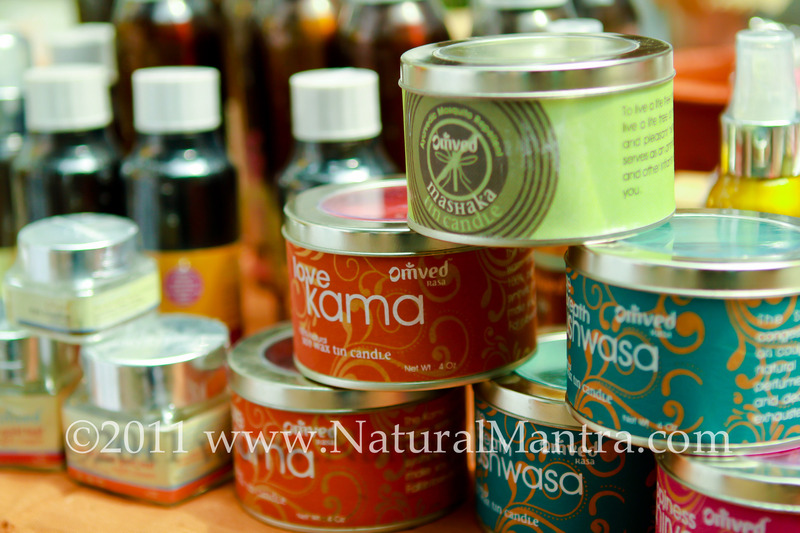 To view more photos from the farmers market please do visit the album on facebook.com/naturalmantra . Disclaimer: The views expressed are that of the author alone based on my personal experience at the market. About the author: Tina is the mother of a beautiful, curious 4 year old girl. She returned to India early this year after living the San Jose, California, USA for over 5 years. 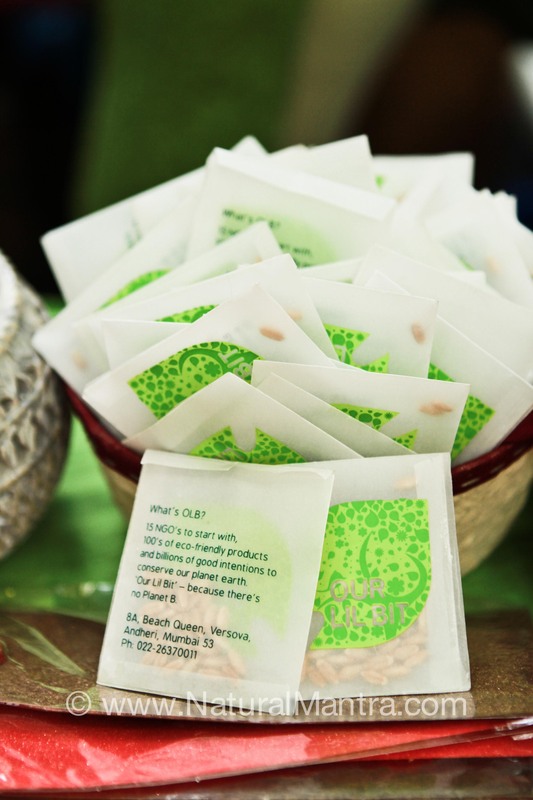 She strives hard to reduce, reuse and buy products that are natural, organic and more importantly sustainable. She is also a social media professional in a leading social media agency in India, a professional children’s photographer, and supports the movement towards a sustainable future for our planet. Connect with her on tinadatta23@gmail.com. Categories: Sustainable Living | Tags: Bees wax candles, Childrens games, Childrens toys, Diwali, Eco-friendly gifting ideas, Ecorico, Green Gifts, Holiday Season, natural, Natural cosmetics, No Nasties, OG Mama, Om Ved, organic cosmetics, Organic Fashion, Organic Products in India, Our Lil Bit | Permalink. Very nice ! You share a beautiful and nice ideas for gifting. 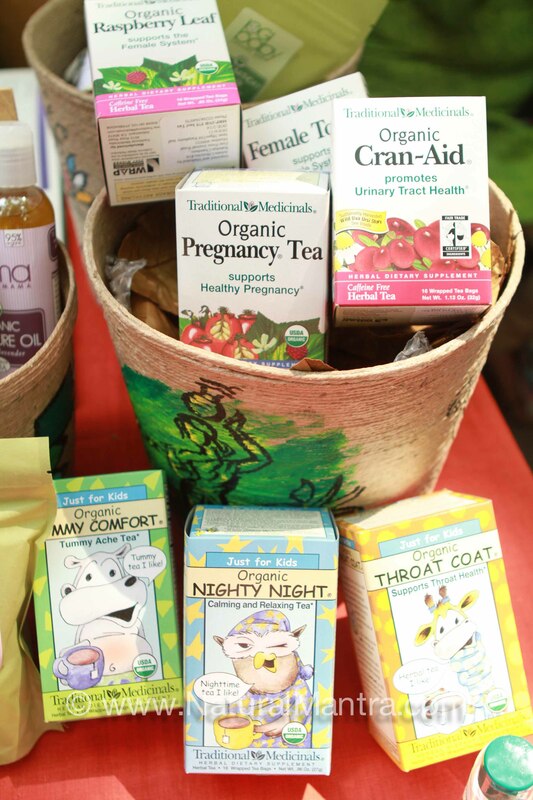 These natural products are good idea to give gifts to someone. So I really enjoy to see your blog and your concepts are so impressive. 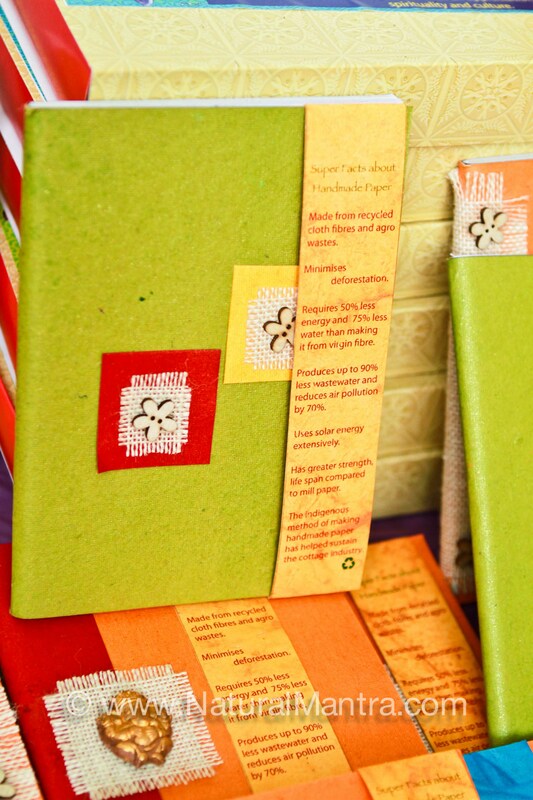 Lovely post Tina – I really enjoyed the photos and the gifting ideas. I am on Our Lil Bit’s facebook page as I type this! Thanks a ton Preethi. Glad you enjoyed the post. We are very excited to bring forth some amazing products and their stories to our readers.